It’s been a relatively quiet NBA season for Nick “Swaggy P” Young. After the Nuggets cut him just 20 days after signing him in December, the camera-loving forward has stayed out of the spotlight, relatively speaking. That was until Friday night when the Warriors decided to take some time before their game against the Cavs to give ol’ Swaggy his championship ring. 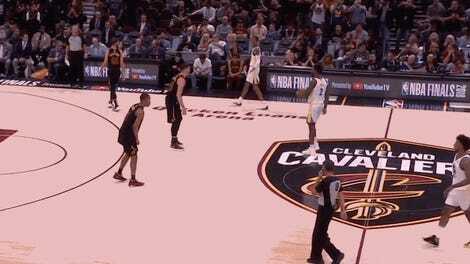 The Warriors played a short tribute video to Young—who was the last player on the 2018 championship roster that to get his ring—then Draymond Green escorted him to mid court. 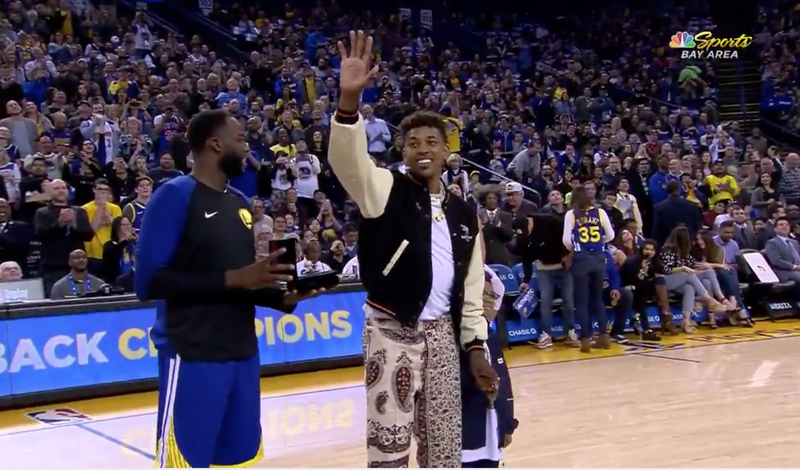 Swaggy unsurprisingly soaked in every second of the crowd’s applause then leisurely strolled over to the Warriors’ bench to soak in every handshake and hug with his former teammates. Steph Curry used the topic of the warning to flex a little bit, saying that the officials should understand by now that ring ceremonies in Oracle tend to take longer than expected. The last two years, we’ve had probably five or six of those celebrations, and it usually spills over. I wish he would have just given it to Nick Young because he was taking his sweet time, for sure, as he should have. But probably more just entertainment for everybody, [the ref was] trying to get the game started. But we did take a long time, for sure. Young even got time to speak with reporters at the postgame press conference where he plugged an upcoming TV show he’ll be on and gave a compelling argument to put him in Space Jam 2. I’m also in favor of seeing Swaggy P in Space Jam 2. Just imagine one of the Monstars taking his skills and losing the game to LeBron’s team because the Nick Young alien can’t stop chucking threes.